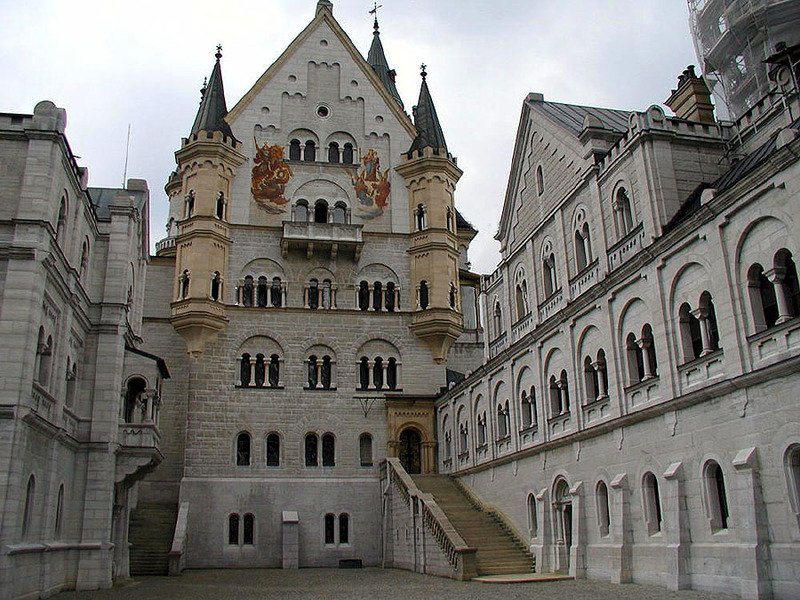 Schloß Neuschwanstein is not my usual sort of project, since I tend to stay away from palaces and cannon forts, and Neuschwanstein is certainly a palace. 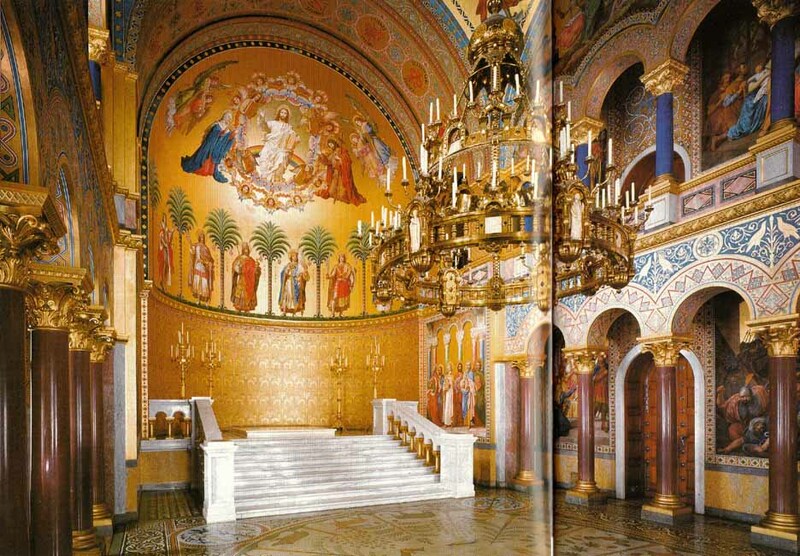 However, she is by most accounts the most famous and one of the most beautiful buildings of its kind in the world! 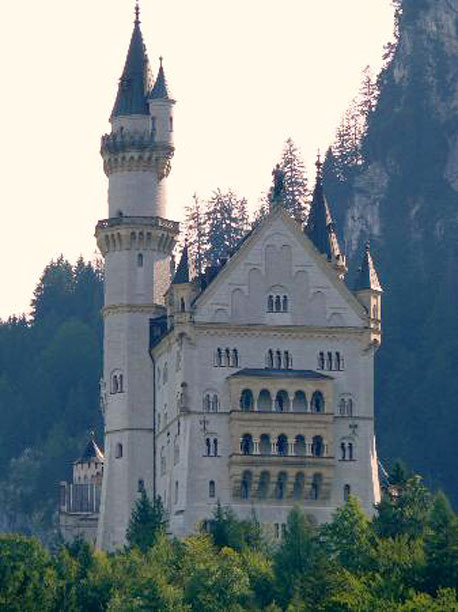 Neuschwanstein was built by King Ludwig II of Bavaria. 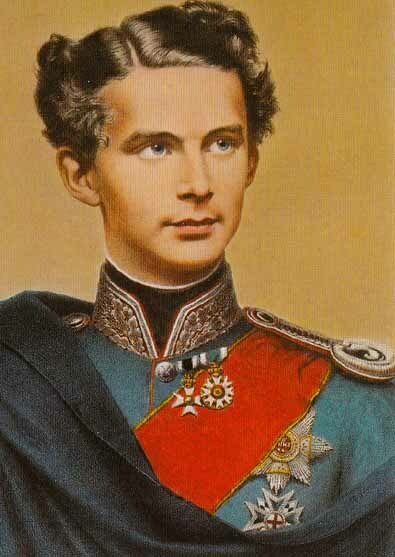 Ludwig ascended to the throne of Bavaria at the age of 18 - ill-prepared to lead his nation. 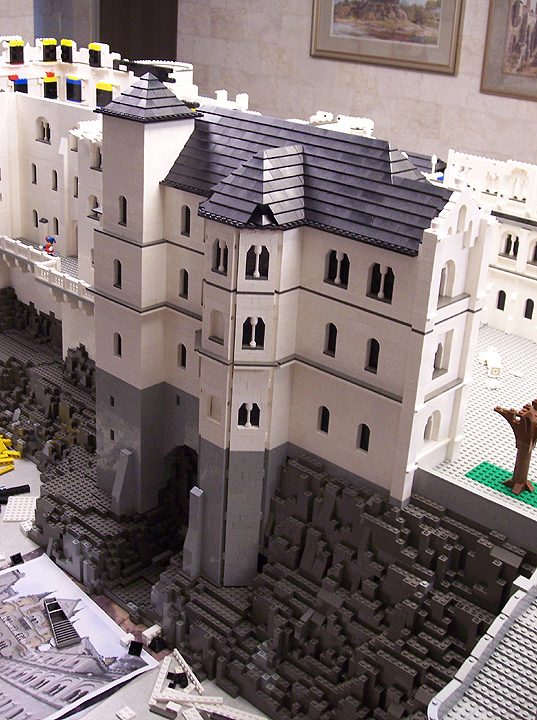 While he did not shirk his duties, he hated war and the fawning attention of politicians. 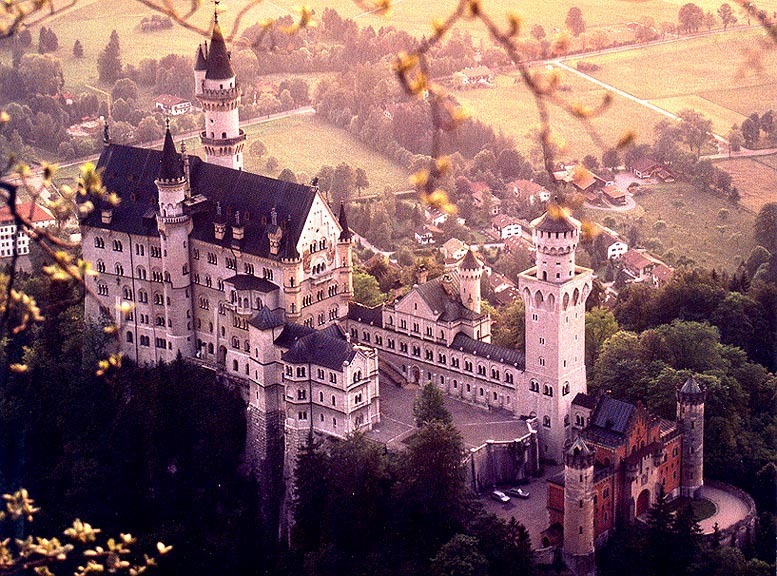 He was always drawn back to the forests and mountains near Hohenschwangau where he grew up. 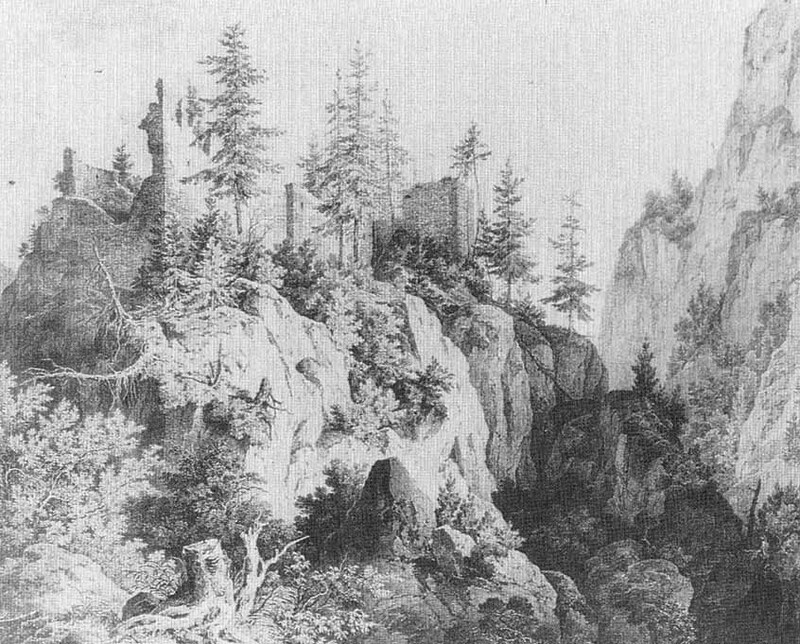 This mountainous area featured an important trade route from Augsburg through the Tyrol into Italy, originally called the Via Claudia in Roman times. 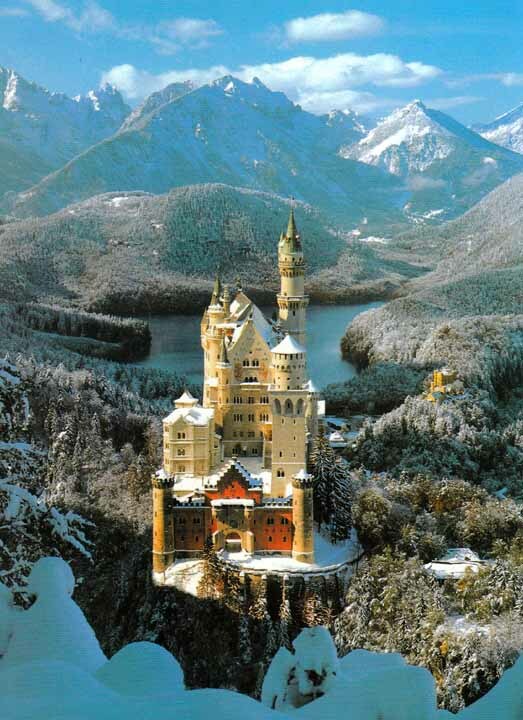 The Bavarians had long ago built a cluster of four citadels to guard this trade route: Schwanstein at the northeast end of the Alpsee, Frauenstein [which no longer exists] to the southwest, and a pair of forts, Vorder- and Hinter-Hohenschwangau, on a ridge at the east edge of the valley. 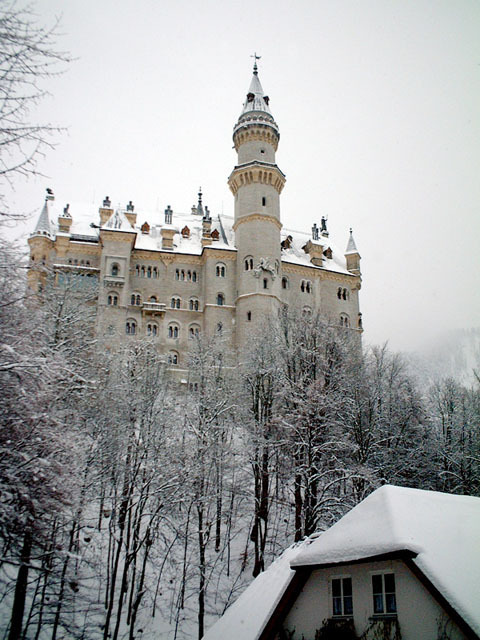 King Maximillian II, Ludwig's father, had completely rebuilt Schwanstein from 1832-38, renaming her Schloß Hohenschwangau, and this is where Ludwig grew up. 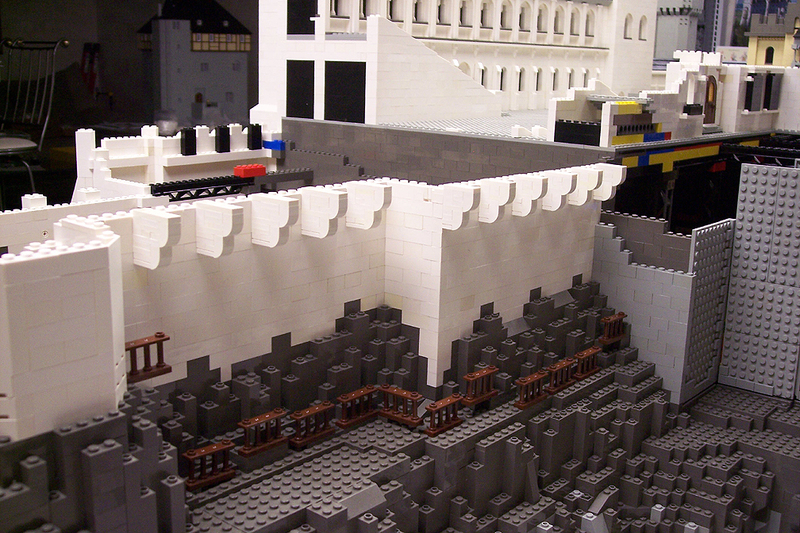 The two castles on the ridge were very ruinous [see below]. 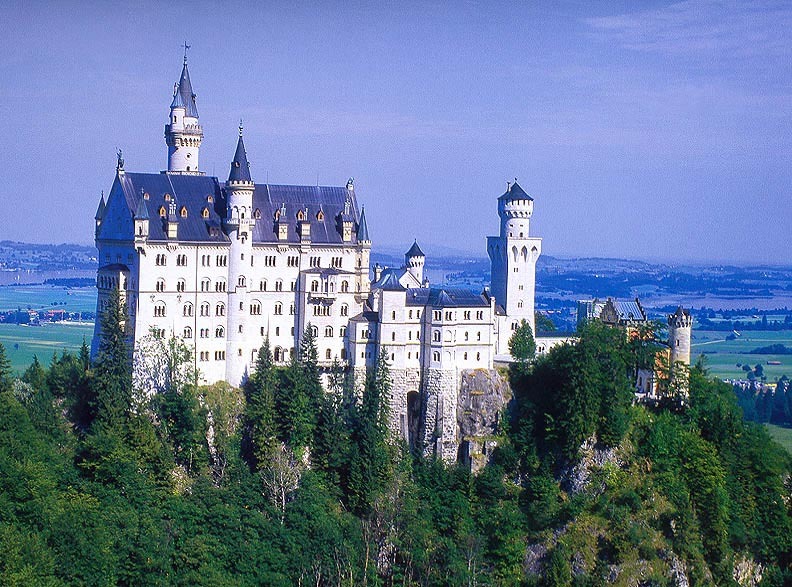 In 1869, 5 years after becoming king, Ludwig had the top of the ridge blown up, lowering it about 25 feet and constructed a road up to the top of the flattened ridge. 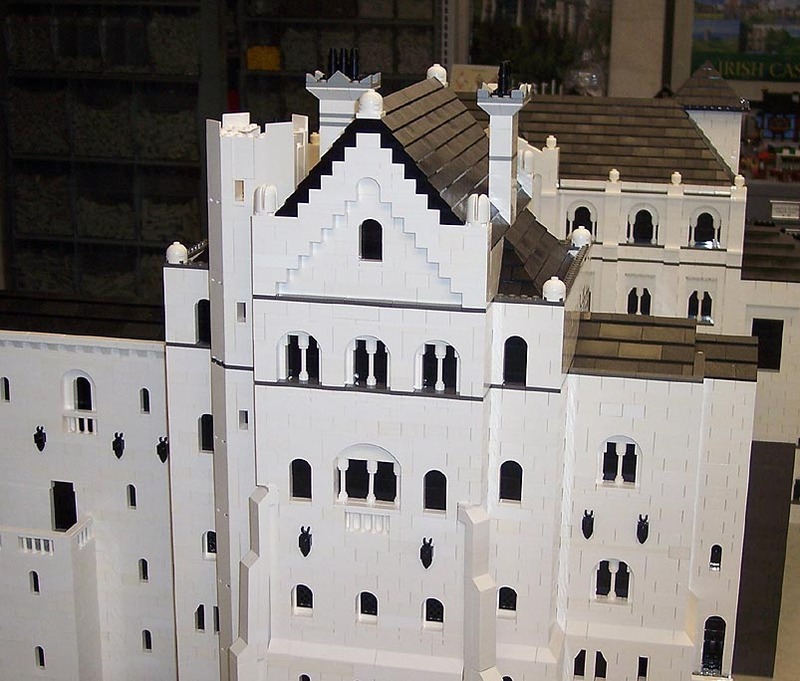 Thus began the construction of Schloß Neuschwanstein, which the young king originally named "Neue Burg Hohenschwangau", which was to continue until Ludwig II's untimely death in 1886. 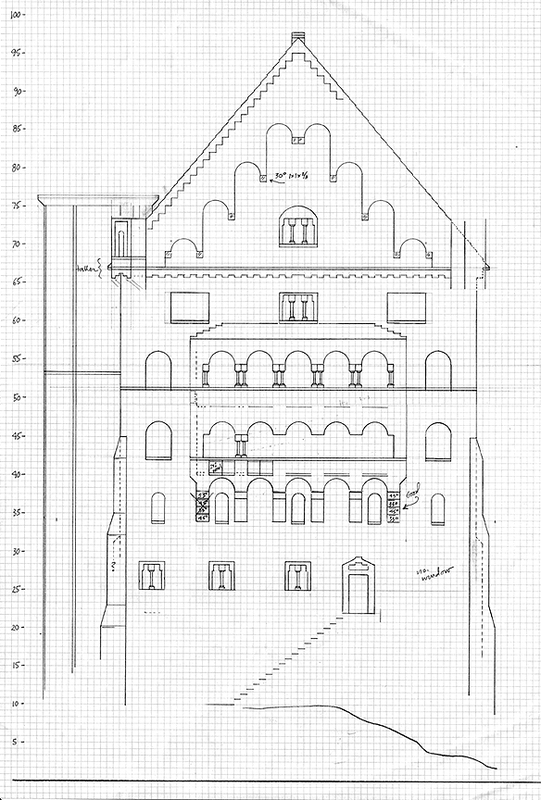 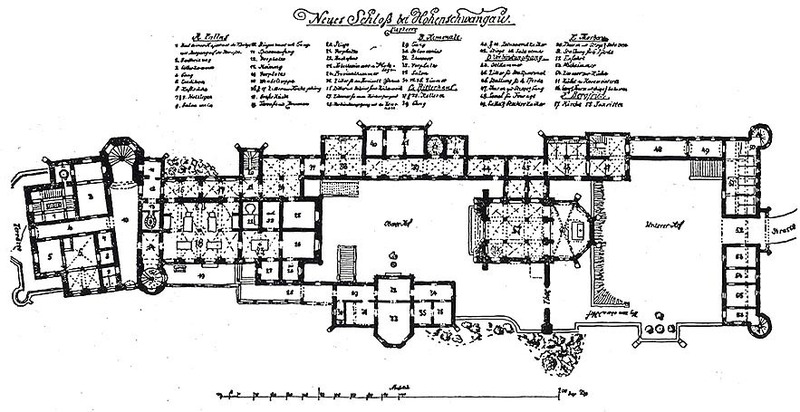 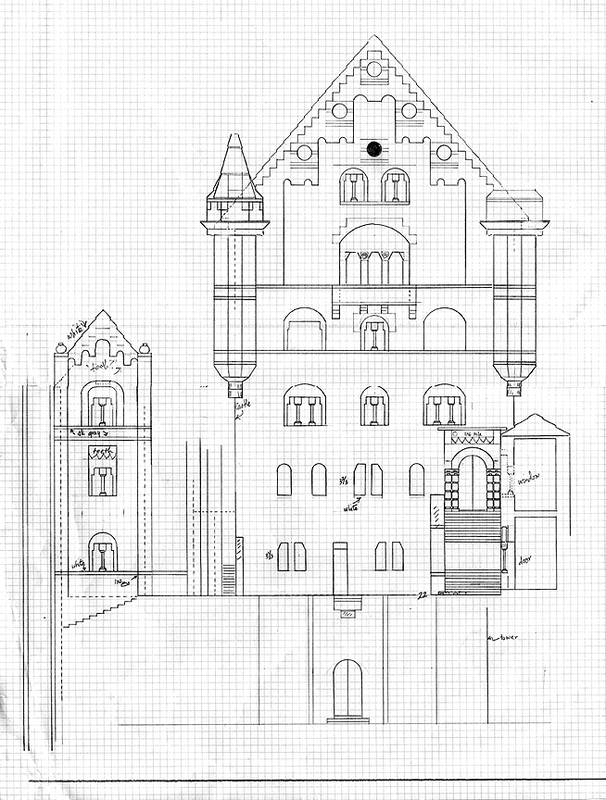 The gatehouse block was constructed between 1869 and 1873, and there Ludwig resided until the King's Apartments on the 3rd floor of the "Palas" were ready in 1884. 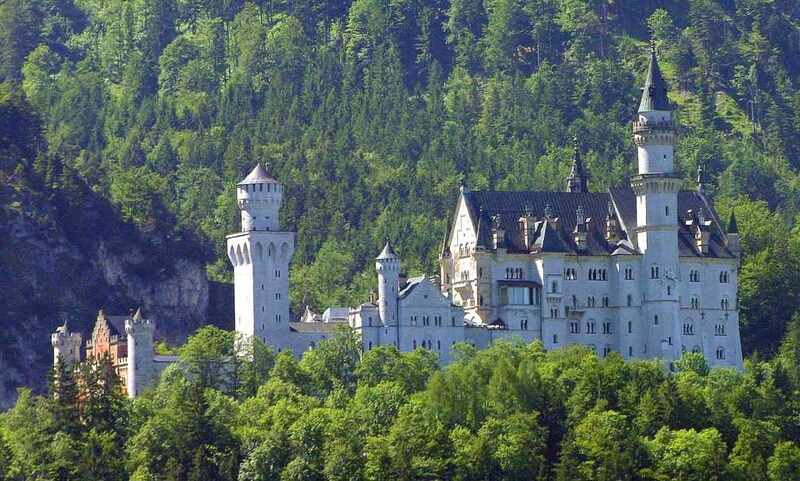 The construction of Neuschwanstein was just one of King Ludwig's extravagances and soon the King was borrowing money to continue the work. 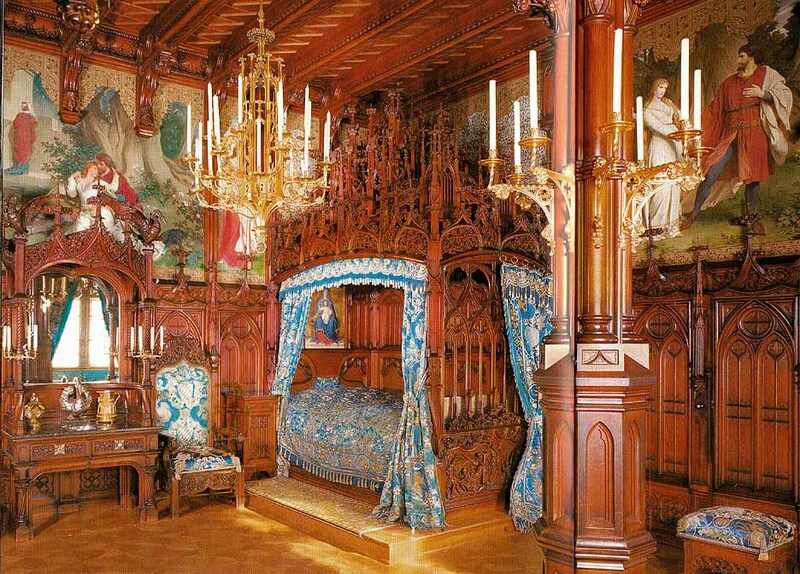 His mysterious death in June 1886 ended much of the work at Neuschwanstein, with the huge donjon and Moorish Hall never built, and the Knights' Building never finished. 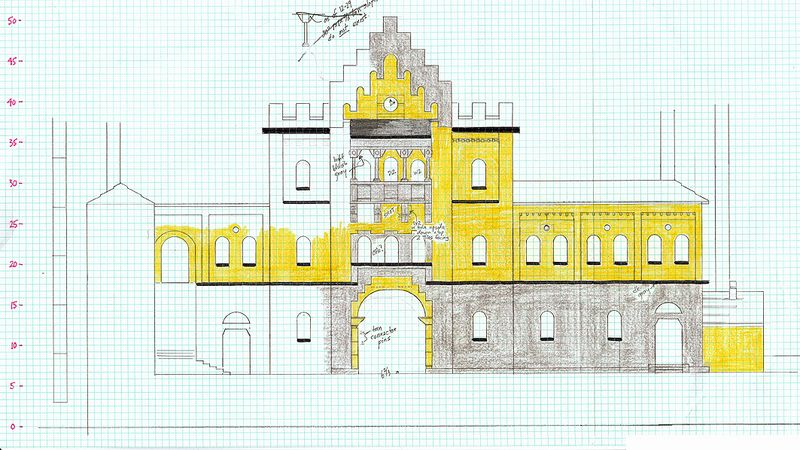 A modified "Kemenate" on the south side of the upper courtyard was built in 1890. 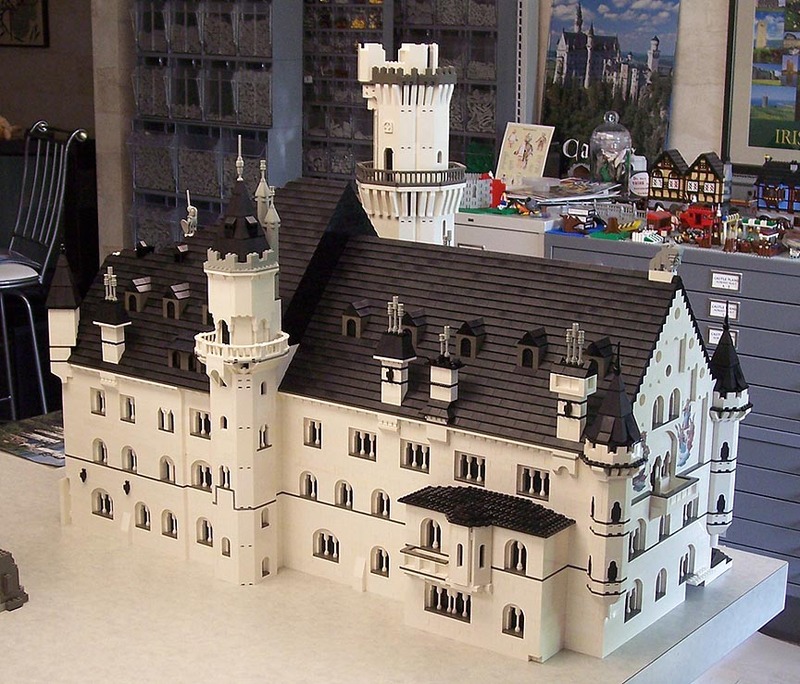 Neuschwanstein was opened to the public just 6 weeks after the Bavarian king's death and "Ludwig's Folly" soon became a huge tourist attraction, currently attracting more than 6,000 visitors a day during the summer months. 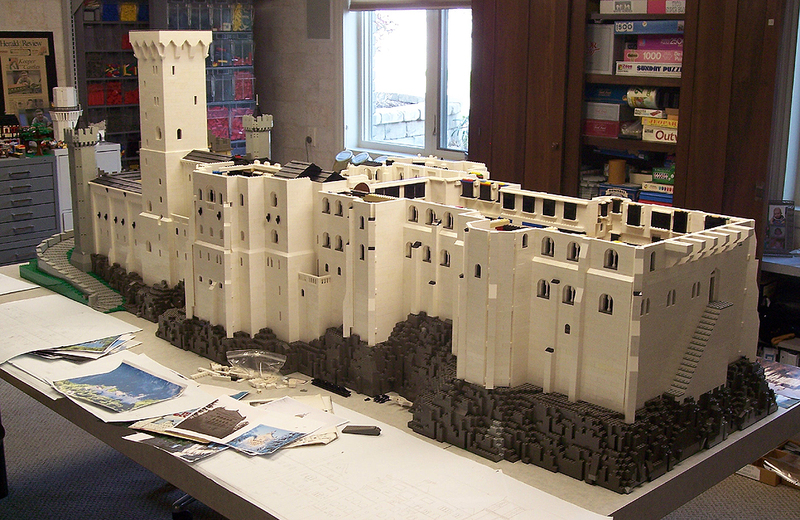 I can only hope my model does it justice. 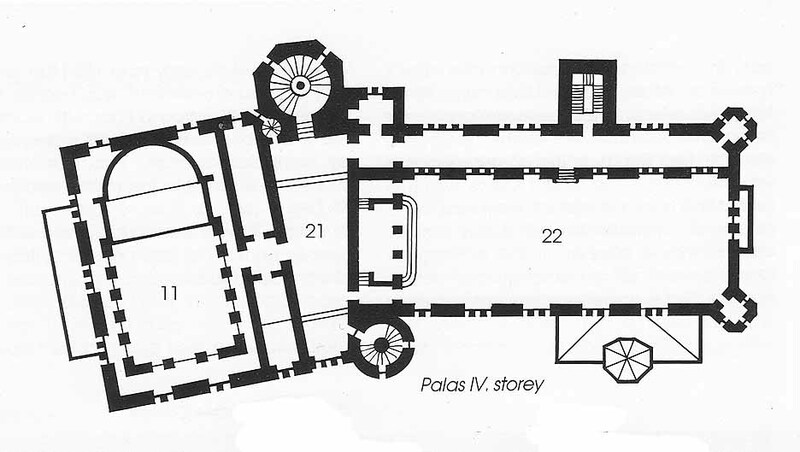 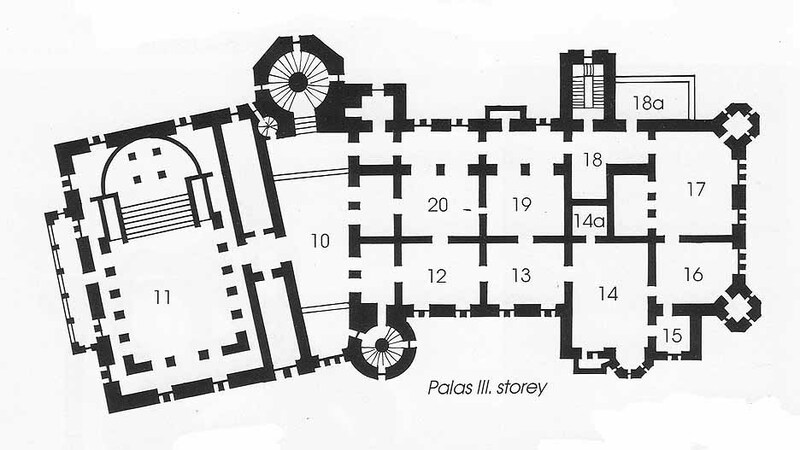 passage to the Palas appears. 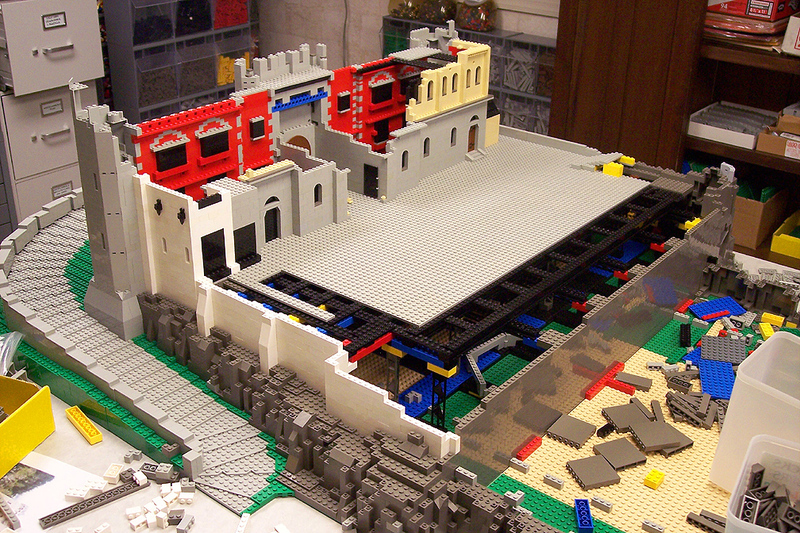 supports shown here in detail. 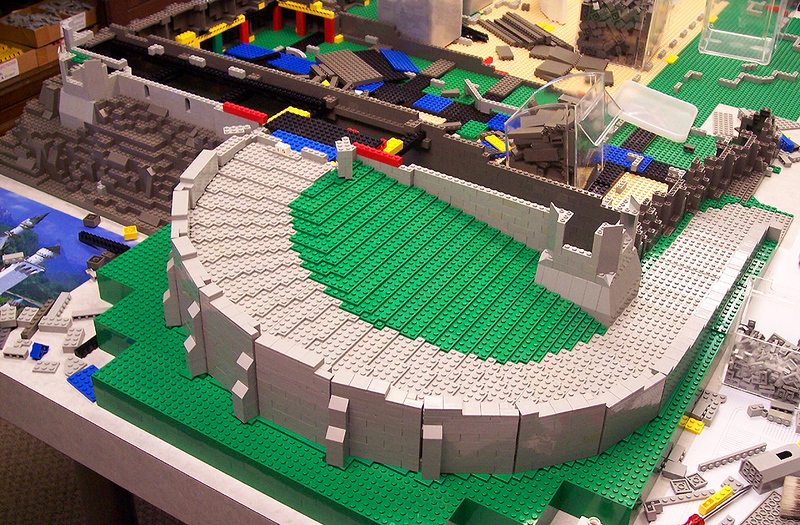 And from the Northwest. 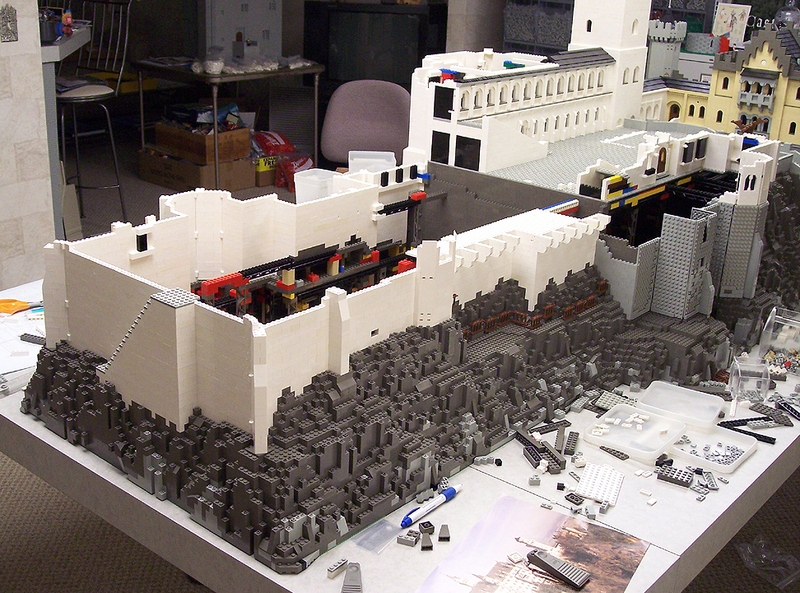 be done on 2 turrets. 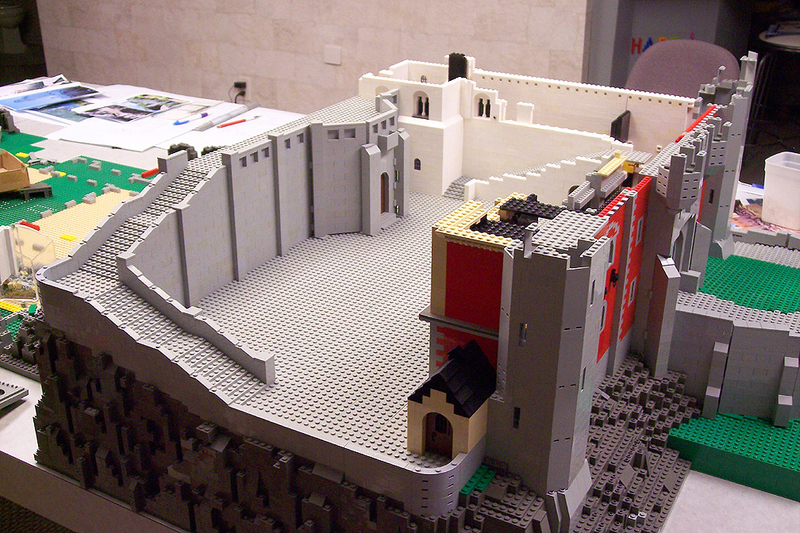 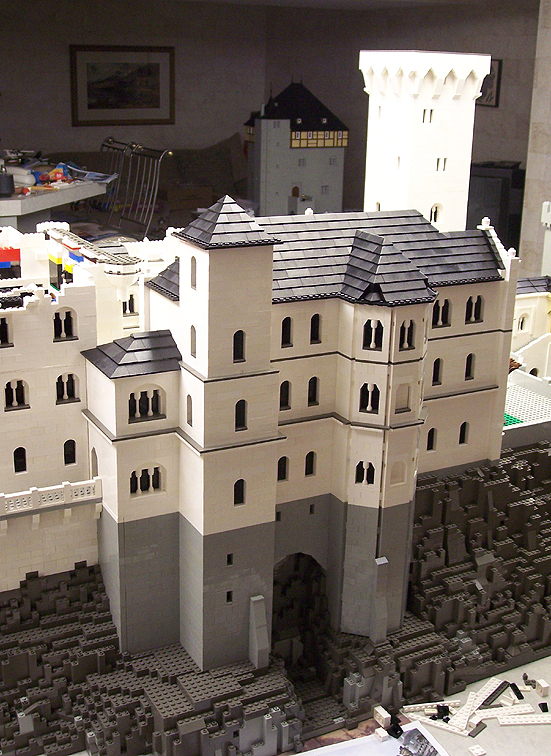 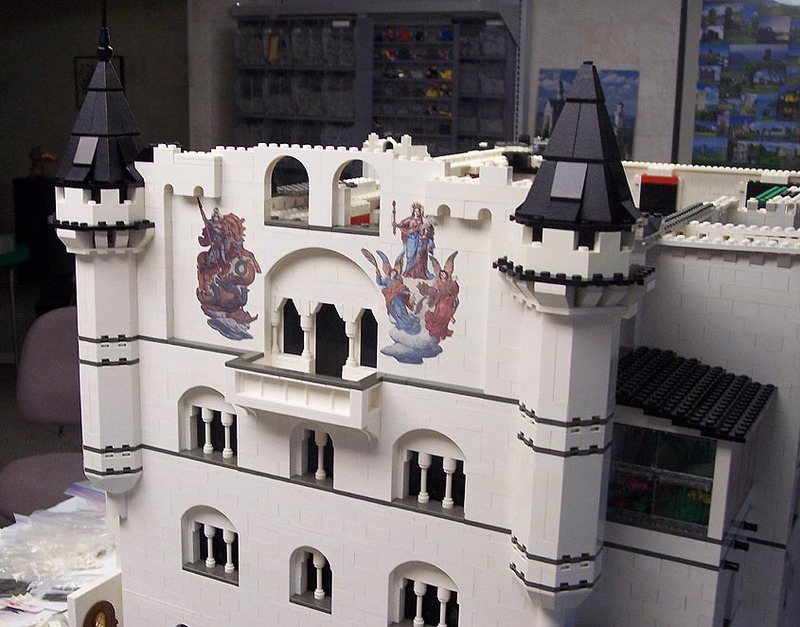 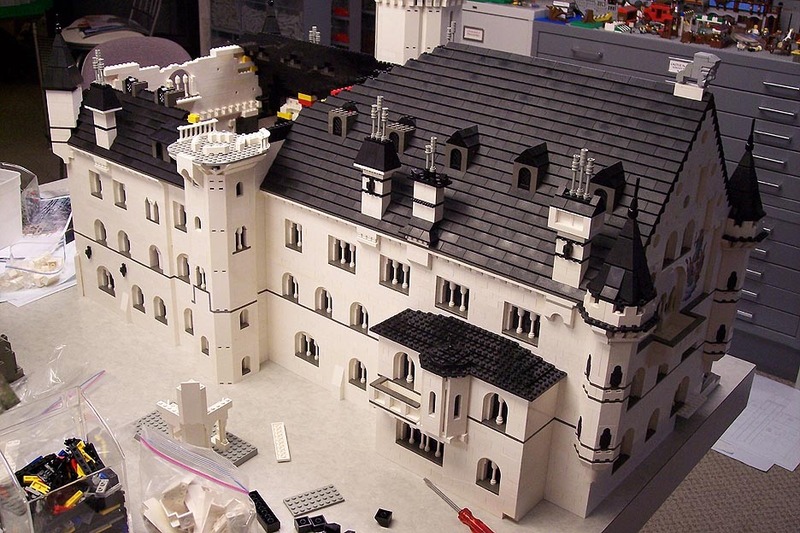 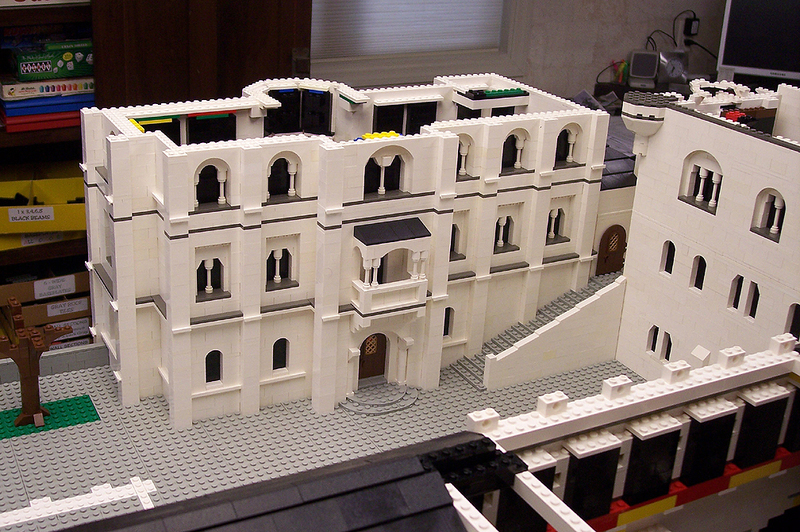 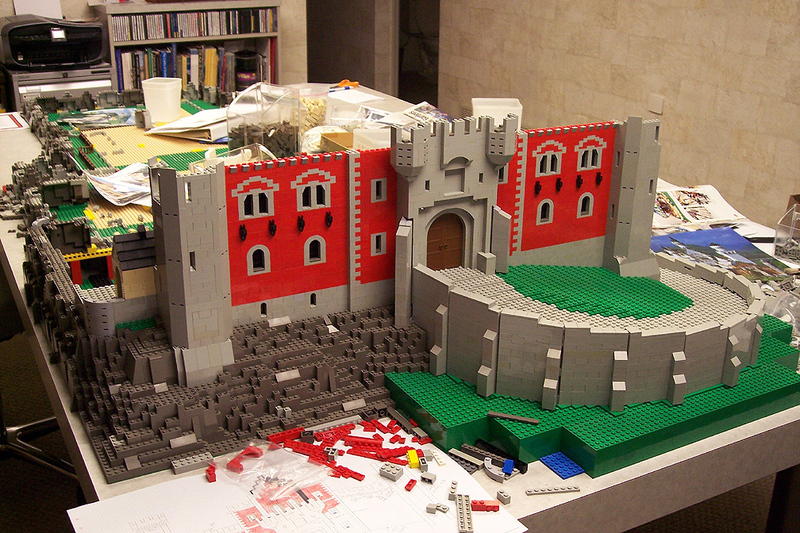 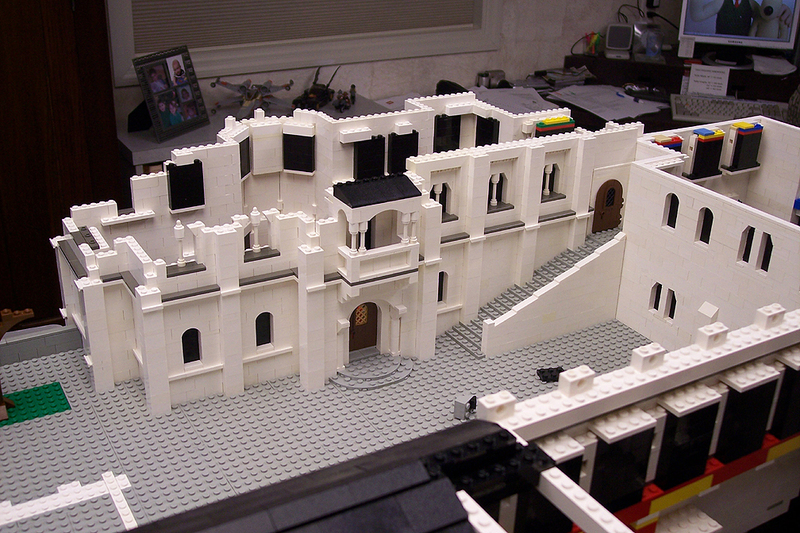 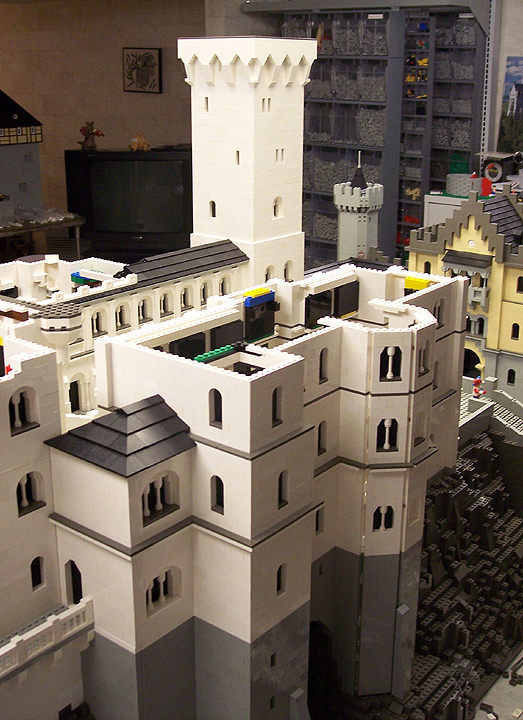 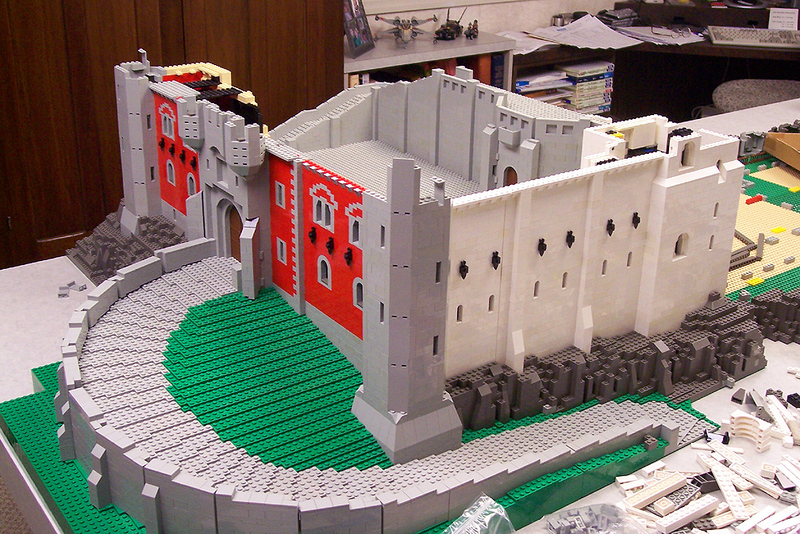 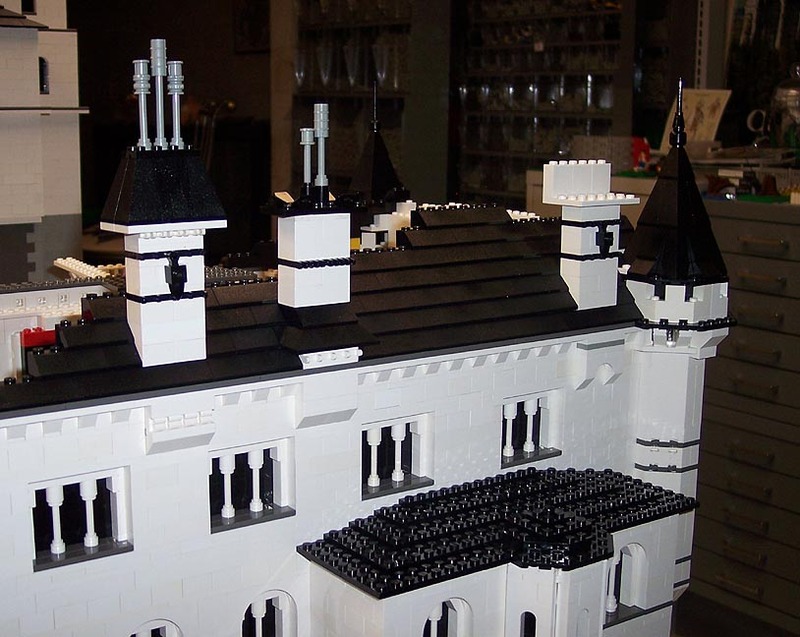 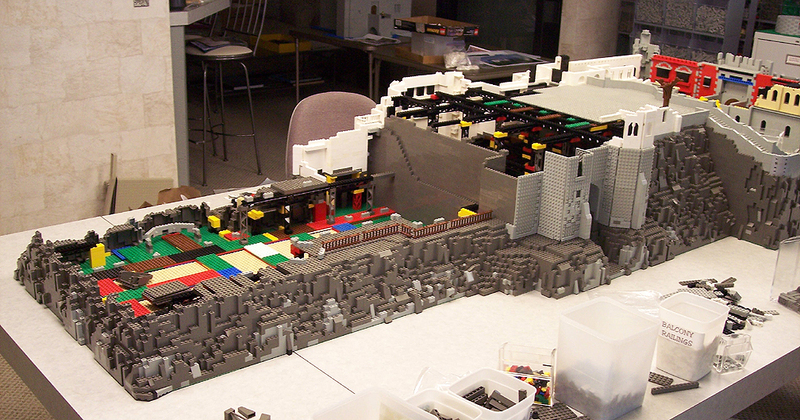 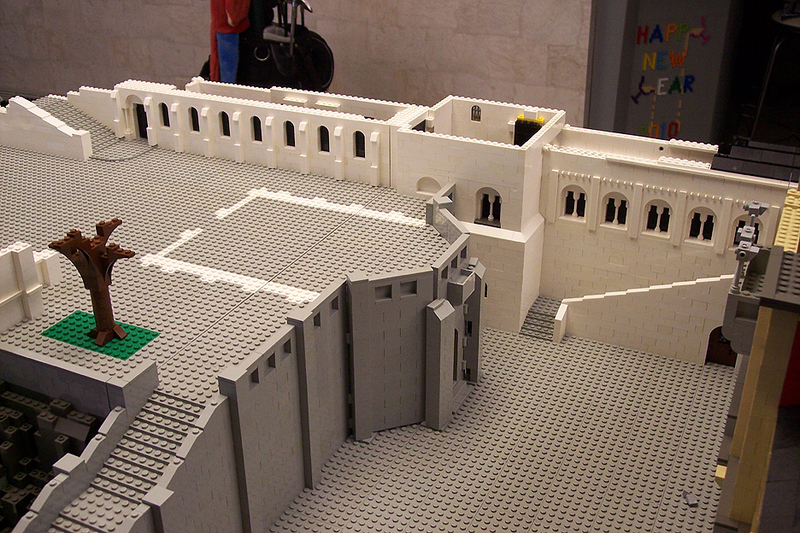 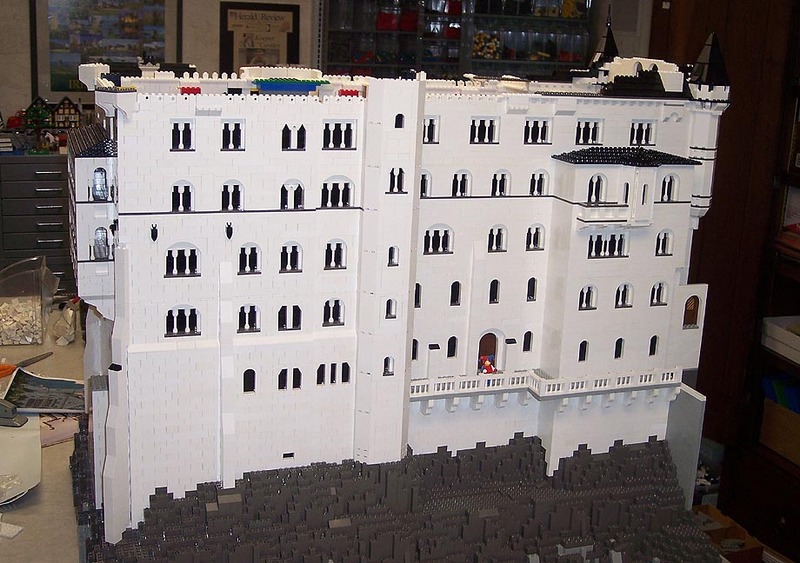 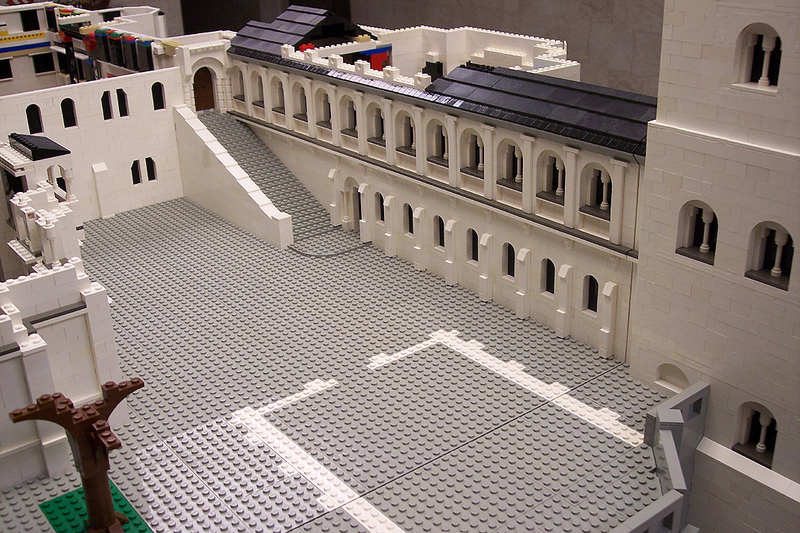 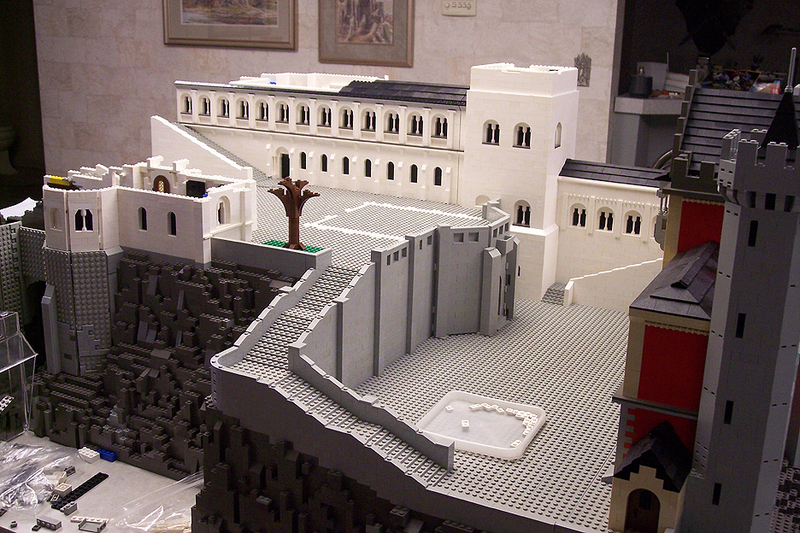 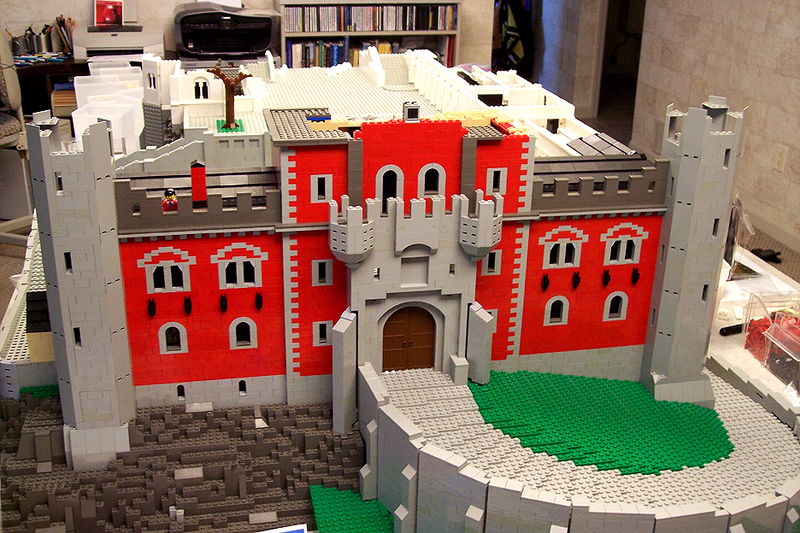 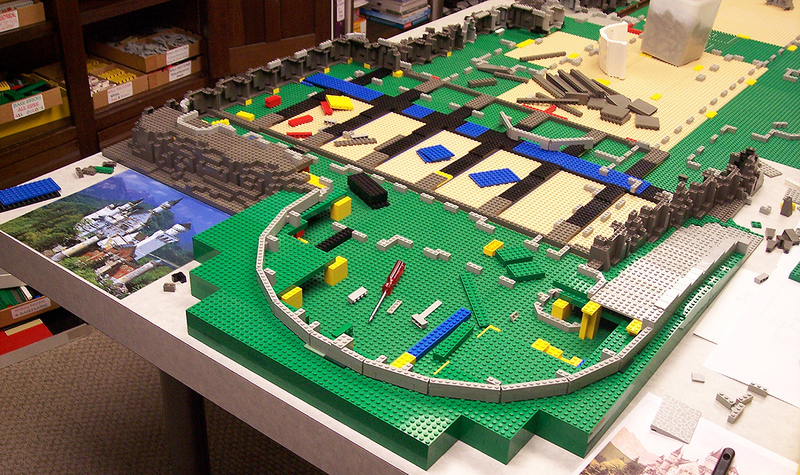 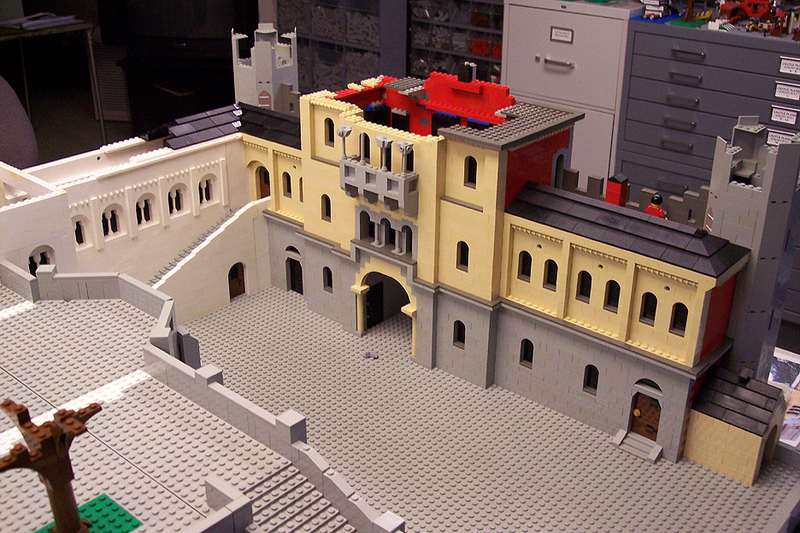 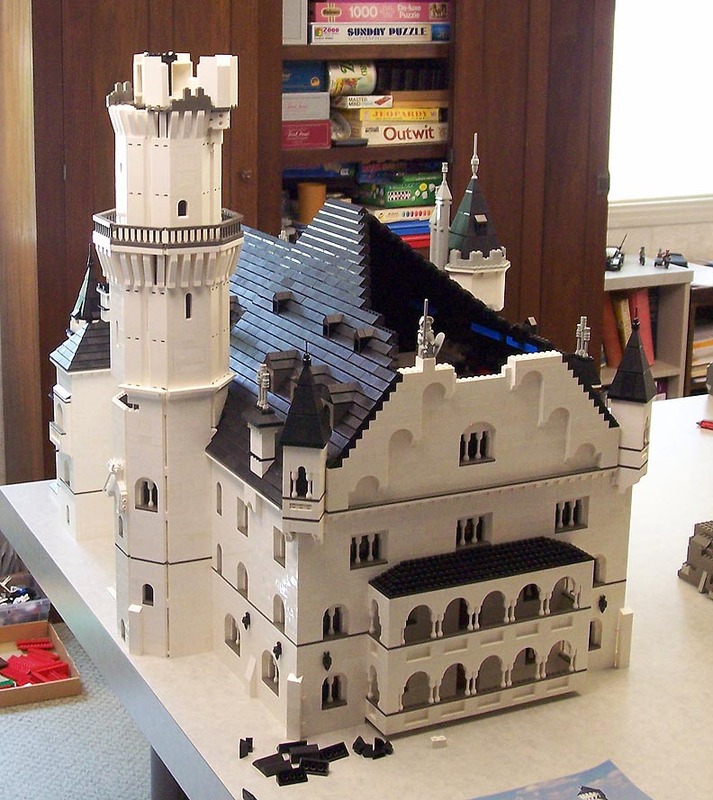 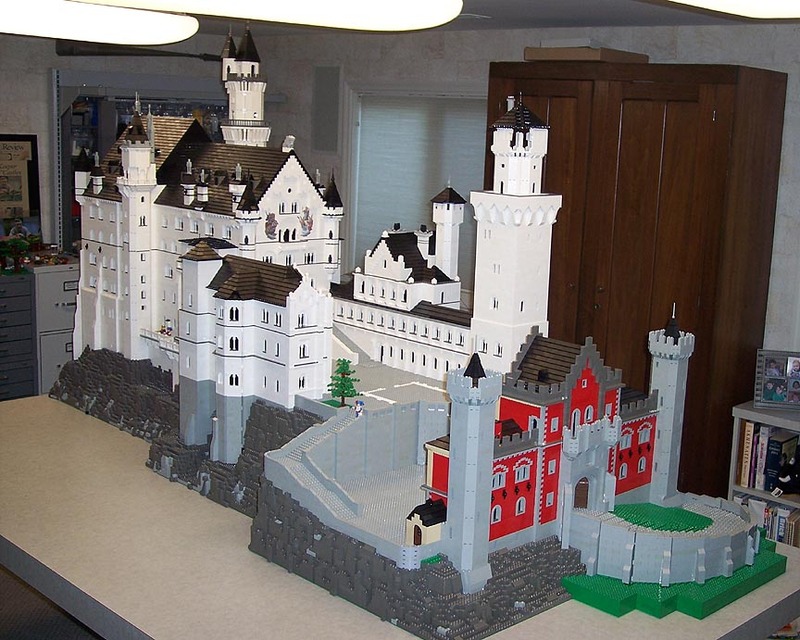 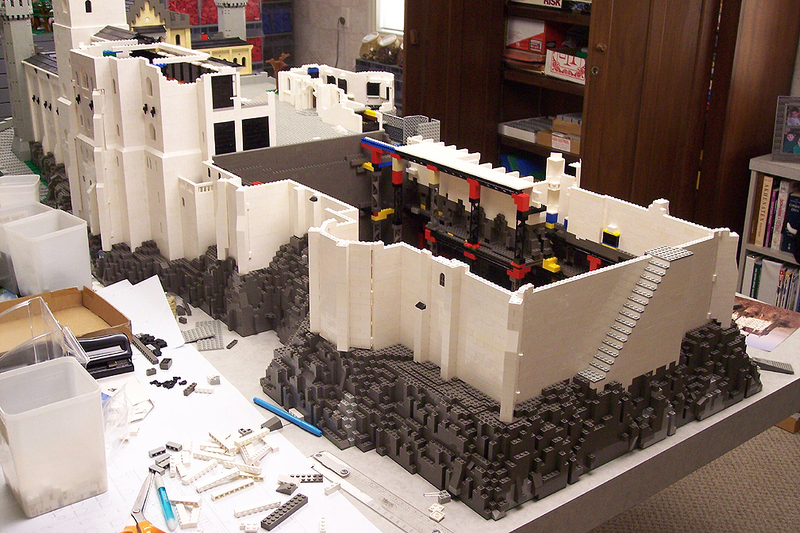 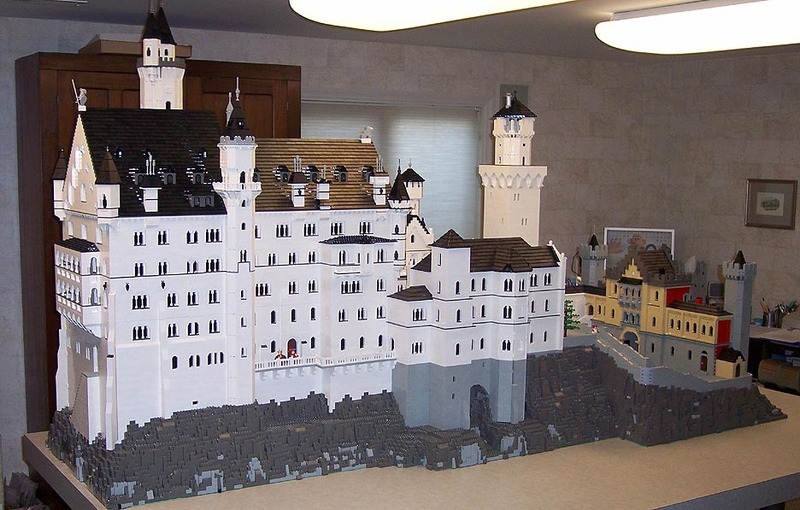 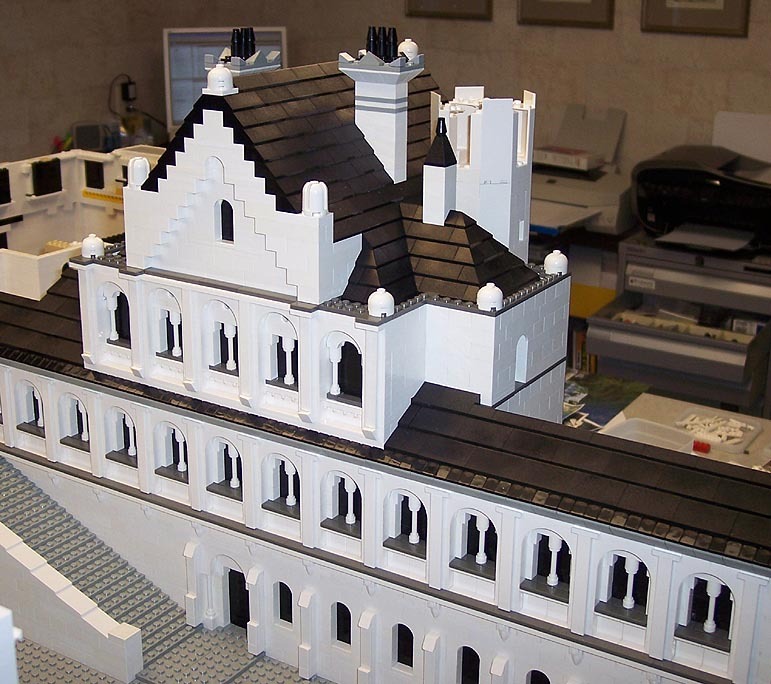 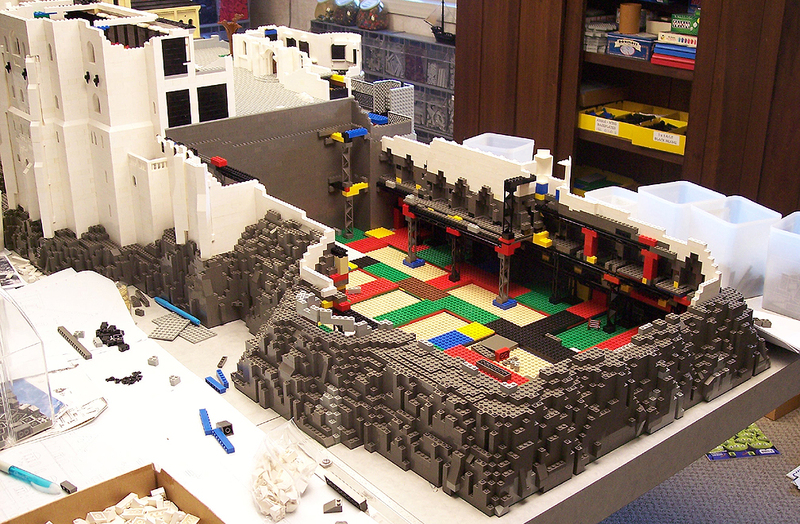 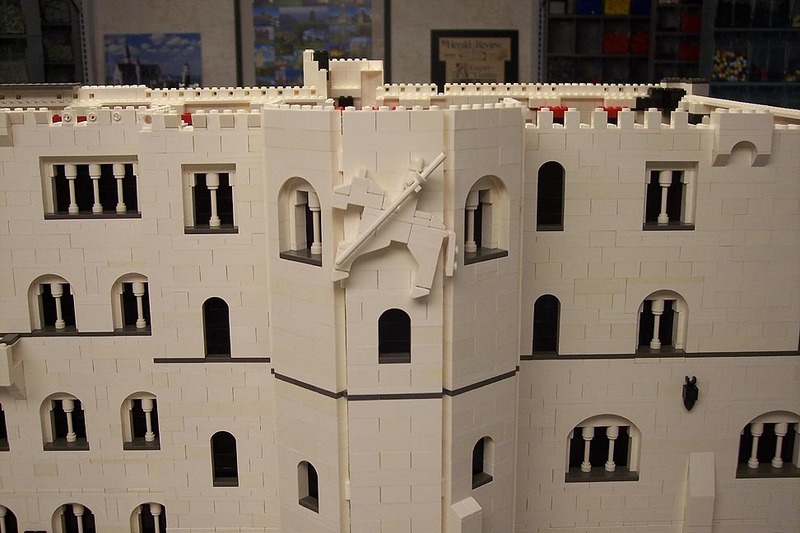 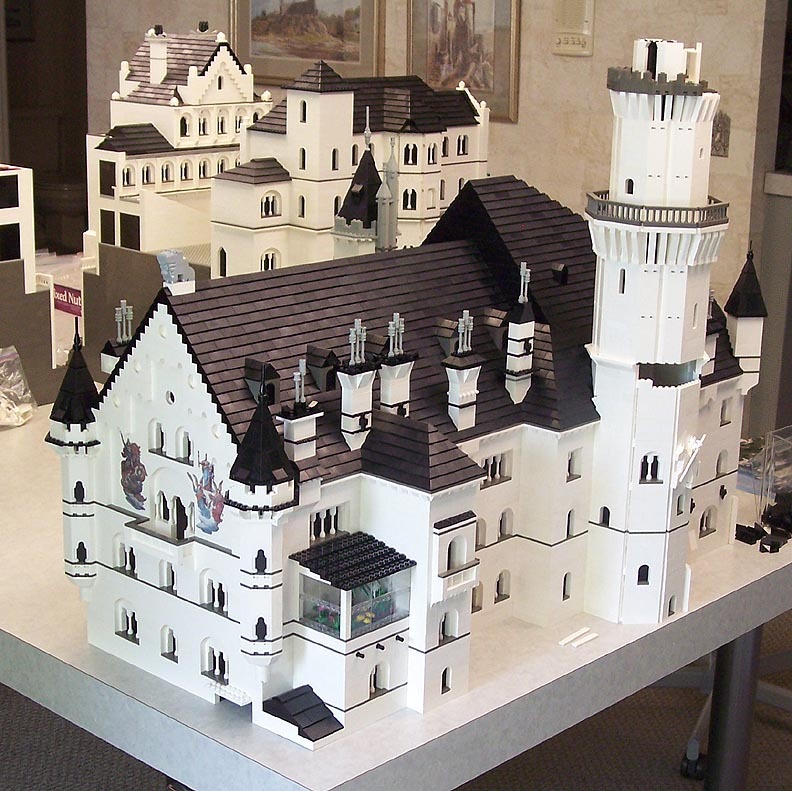 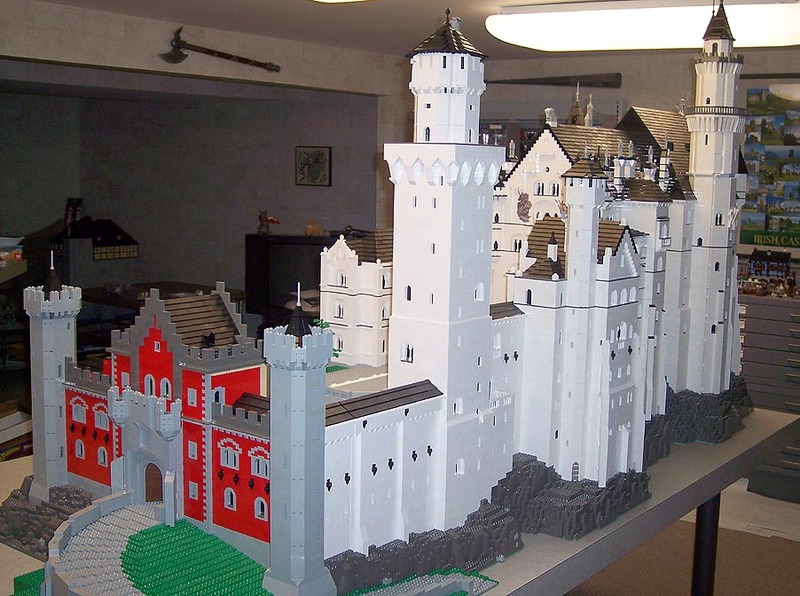 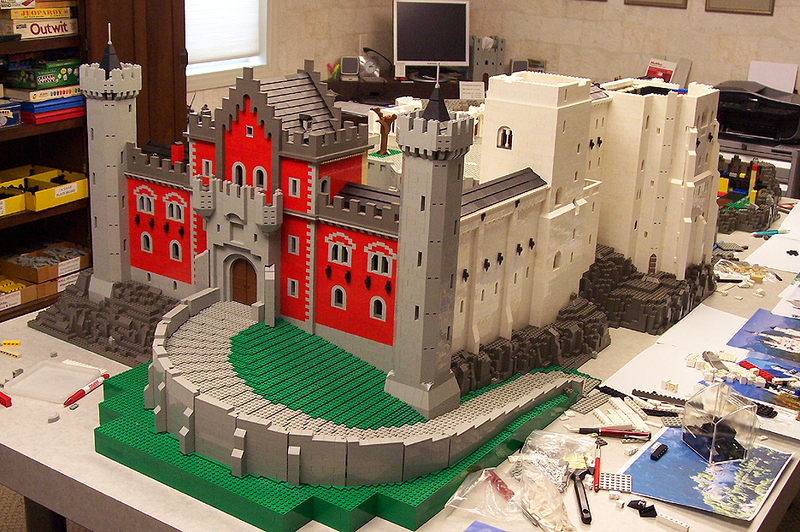 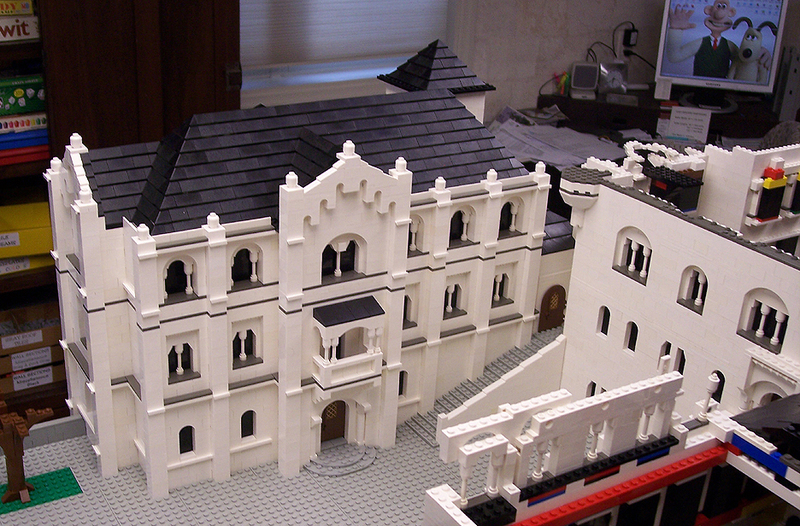 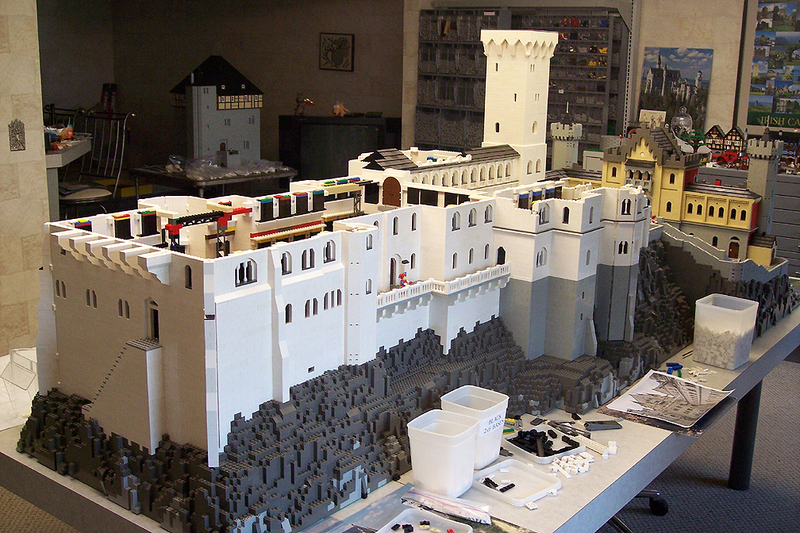 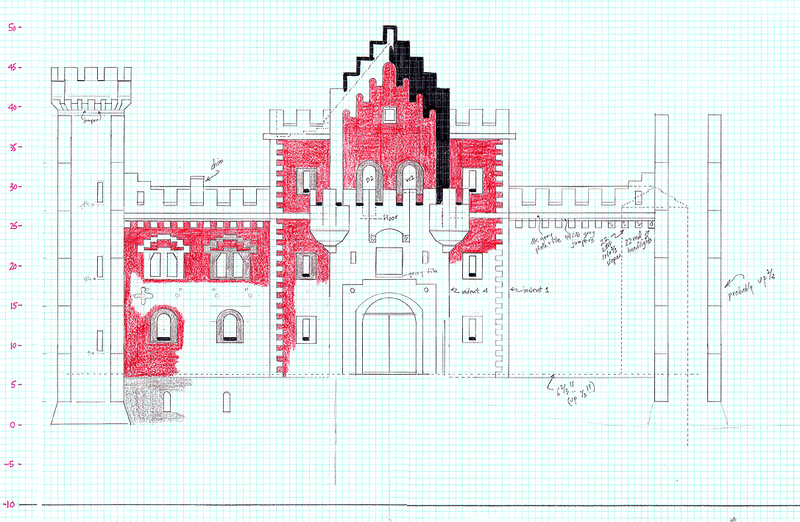 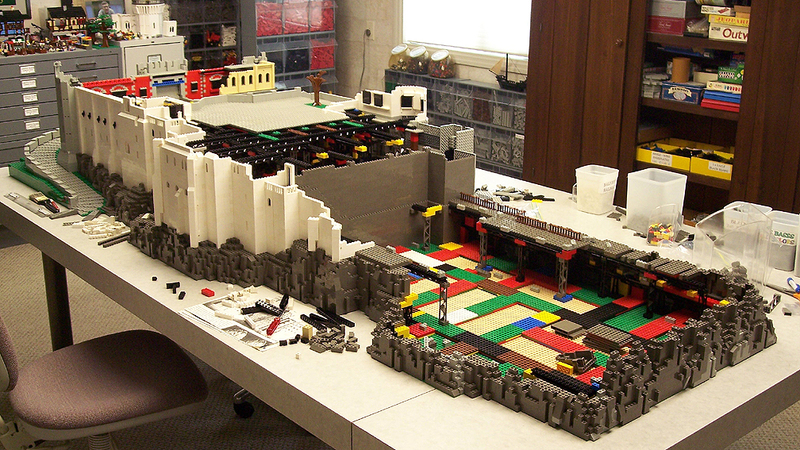 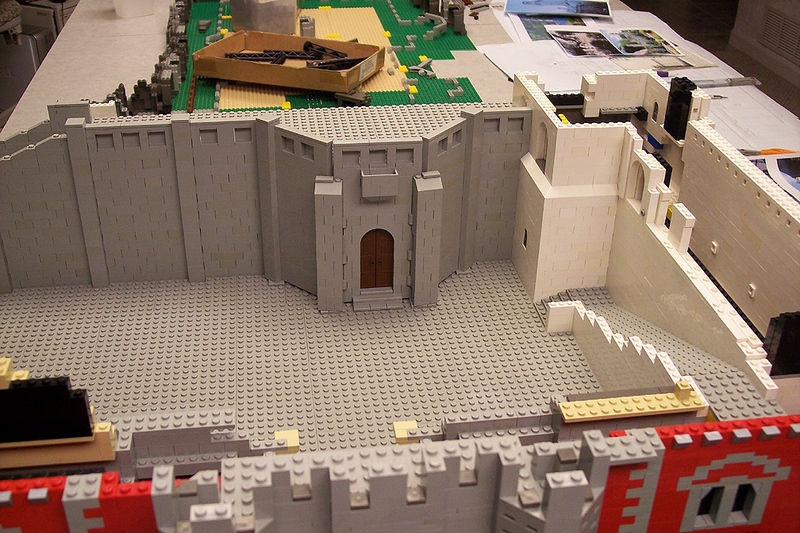 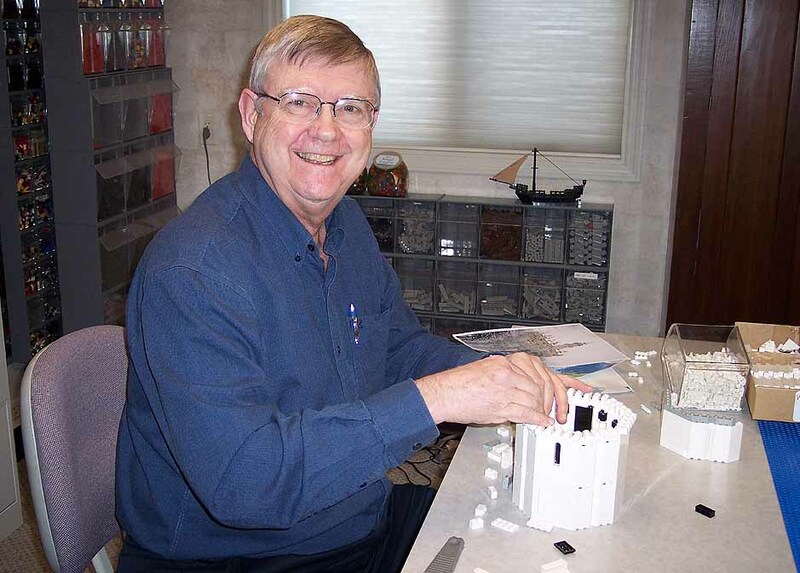 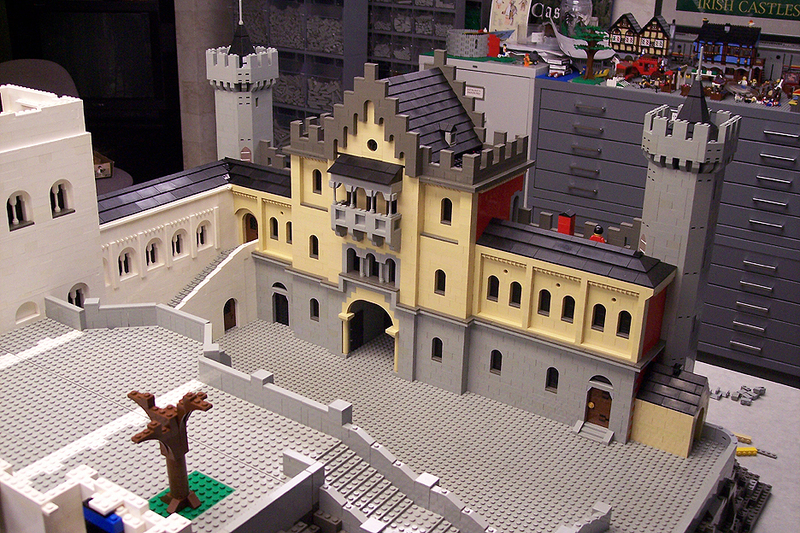 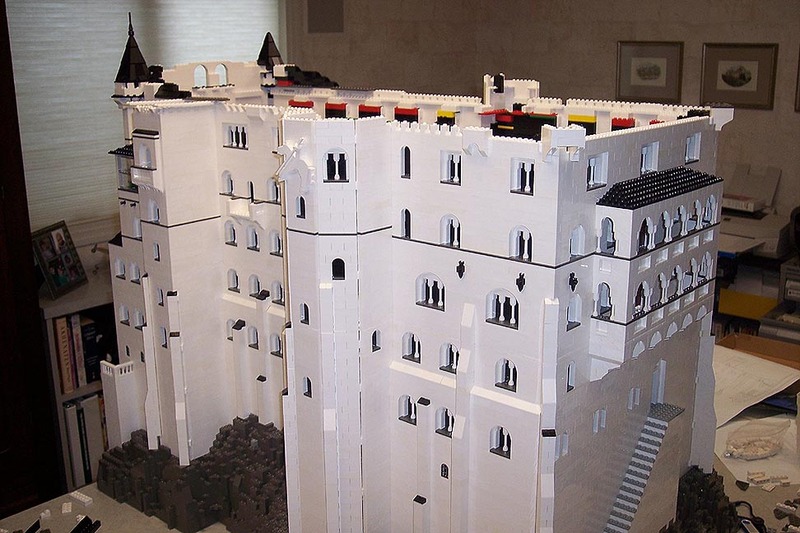 Note: For the pictures of the completed castle, click on this link. 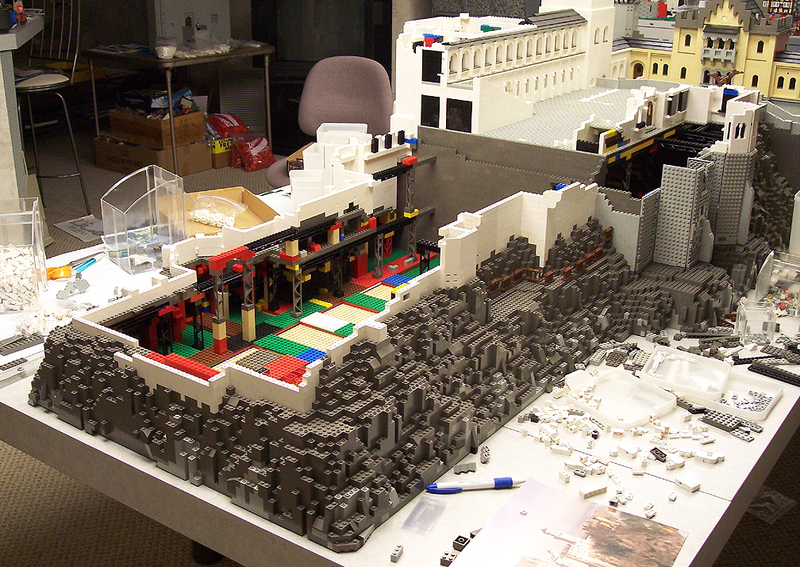 which I will pass along of course.